An olden goldie made new again. The babyhood Safety Mesh Bouncer looks like the great bouncer of the past that we all used but revised with all the new technology and features you expect today. It is made with a high quality cotton cover that can be removed to wash and replaced onto the frame for drying. 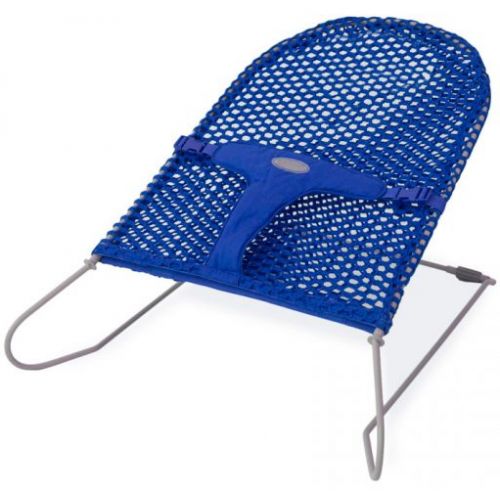 It has a wide base to prevent tipping over and an adjustable 3 point safety strap to secure your baby, so no more pins! Unlike other bouncinettes, the unique design of the babyhood Safety Mesh Bouncer allows you to flat pack the product and take it along when travelling or for easy storage. 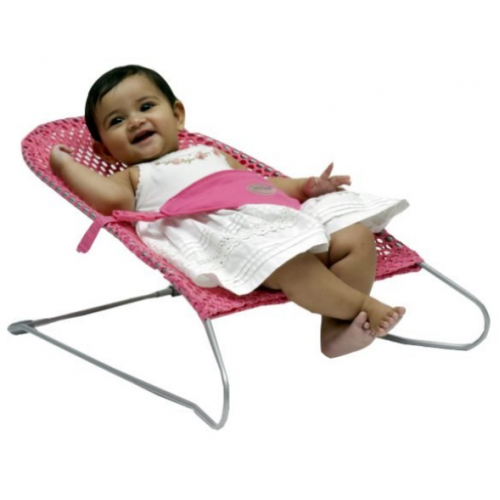 It also has the right level of tilt on the frame to ensure safer use by your baby. When assembling follow the instructions provided and before every use ensure the frame is firmly locked in place.